As a backbone for our research, we maintain and regularly update our statistical databases. wiiw economists as well as researchers and analysts within multinational corporations, banks and central banks use wiiw databases e.g. to assess trade flows, or to study investment trends and opportunities and changes in economic structures on the basis of ascertainable facts. A key strength of the wiiw databases is their reliability and comparability across countries and time. They offer a unique country mix and a comprehensive set of indicators not readily available in other databases in such an easy-to-use format. In particular, it is the number of structural indicators, for instance by activities and commodities, that are otherwise not available across CESEE countries over long time periods and in such detail from one single source. Online access is available via a user-friendly interface with search functions and the possibility to save queries. A preview of the databases is available at no cost. The wiiw Annual Database * has been expanded by Turkey, Belarus and Kosovo and now covers key economic indicators for 22 CESEE countries*. 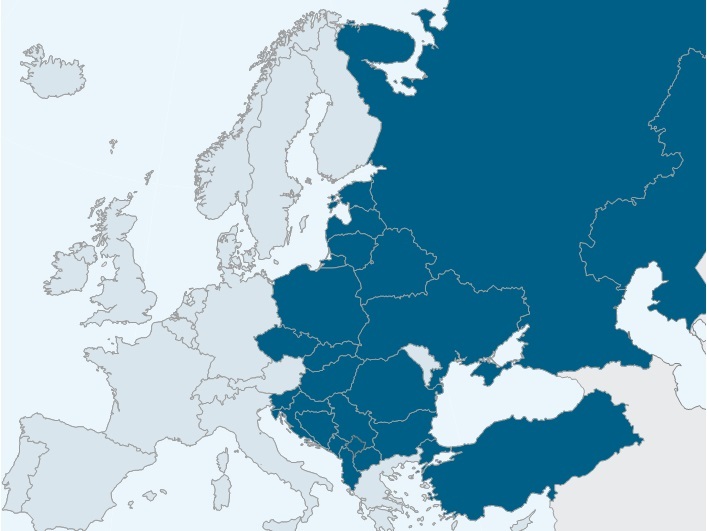 Apart from the new EU Member States and Southeast European countries, also selected major CIS countries are included. It captures all sectors of economic activity and covers the population, national accounts, investment, production, labour market, wages, prices, domestic finance, foreign finance and foreign trade in the region. Many of the time series reach as far back as the 1960s. The wiiw Monthly Database tracks the latest economic trends as well as the entire transition period with leading economic indicators for 20 CESEE countries. Here, the data on Belarus and Kosovo will be included step by step. The database covers indicators on production, labour market, wages, prices, domestic finance, foreign finance and foreign trade. Time series usually start in 1990/91 and are continuously revised and updated. The wiiw FDI Database is a comprehensive and unique database on Foreign Direct Investment activities related to 23 CESEE countries. It provides information on inward and outward FDI stocks and flows, and FDI components. This dataset is provided on an annual basis following the IMF definition and guidelines. The wiiw databases follow the highest professional standards. Apart from regular quality controls and consistency checks, there is a careful description of methodological breaks and deviations from standard definitions in footnotes, as well as chain linking of breaks in time series. The time series are updated and revised as soon as the original statistical sources become available. The data are compiled from national statistical offices, central banks and Eurostat and complemented by own calculations.